The Velleman VM205 has my interest because I’m working with small digital projects with low frequency signals and I want to be able to trace those. And hey, it’s cool when you can do that with equipment that one assembled oneself, isn’t it? So, I set out to my favourite electronics shop and bought a Raspberry Pi 3 B, and a Raspberry Pi 7 inch touchscreen display to go with it, and, of course, the VM205. Any thoughts? I would really like to use this configuration as my low-level logic analyser. To test, I updated my Raspberry Pi 3 B to latest kernel version of 4.9.35-v7+. My VM205 works fine with this latest kernel version. As you can read in my OP, this is exactly the kernel version that I’m using. I’m happy for you that your VM205 works. Which firmware do you mean? Would that be the “ROM” that boots an Operating System? And if so, how would this effect the workings of said OS? Where can I find instructions for this firmware update? Which firmware do you mean? I think there is no need to update the OS at the moment. You have latest kernel version installed. what this means is, the dev/mem ‘device’ is not accessible to the normal user, but it is accessible to the root (sudo) user"
Hello! Thank you for your efforts with the library. I still have no clue what you guys mean when you talk about ‘firmware’. In my book, firmware is software that’s embedded in ROM inside whatever contraption we’re talking about, dishwashers, refrigerators, even computers (the boot-rom for example). But then again, every link that is presented here points to pages telling us how to update the Operating System (kernel and other software). Perspective: I will certainly not pretend to know everything (duh), but have been in ICT since the late '70s and do know a thing or two about updating en upgrading. Update and upgrade are the first commands I execute when having unboxed a new RPi. So let’s get that out of the way please? It does however open another task in X, called ‘[WFS210 demo]’. Does this give us any pointers? VEL255, in a second attempt this morning, I hooked my RPi 3 up to a proper monitor instead of this 7 inch touchscreen. I started X (we do need X right, or is vm205 running on some Stand-alone tk library?) and started vm205 as sudo’er. Same happened - no dice on the screen, 100 % CPU. But then again, every link that is presented here points to pages telling us how to update the Operating System (kernel and other software). 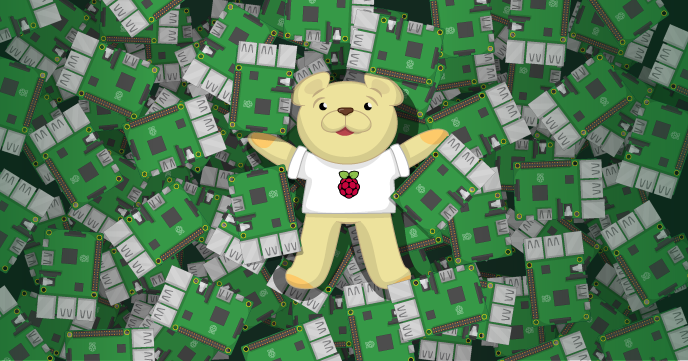 The Raspberry Pi “firmware” is included to the downloads. "The kernel and firmware are installed as a Debian package, and so will also get updates when using the procedure above. " Can I expect a reaction on the details I sent you? This is indeed very strange problem. Thank you for the data you sent. Still diagnosing the actual root cause of the problem is not an easy task. I got error message but the program started anyway. The program started without any error message. The third way to start the program without error message was to double click the VM205 in File Manager and select “Execute”. I’m assuming you mean ‘./VM205’ ? Just asking, because my program is called ./vm205’ (lowercase). In that case, I tried your first and your second option, with a different result for the second one, as I described before. Just asking, because my program is called ./vm205’ (lowercase). Did you download the program from Velleman VM205 site, the software: “Software package for VM205 with Pascal source code (Rev1.3)”. Indeed I downloaded it from the Velleman site. Just to be sure: do you have a link for me please? Also, the directory mine came in was called VM205-master; does that shed any light? Thanks for your patience VEL. Apparently I had downloaded another version. Next question: is there a way I can have the program adapt itself to this screen-size? It seems that there in github.com there is directory VM205-master. There the software is “vm205” (lowercase), so it seems you have downloaded this version. Okay, got it. This version does not have the problems I described earlier! I’m happy that your VM205 works now. I’m sorry, the user interface of the VM205 software doesn’t fit on the screen size of your display. There is no (easy) way to resize the user interface. The only way is to edit the source code and recompile it.